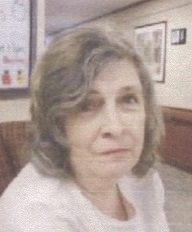 Gwendolyn Hodgdon, 69, of Franklin, died at Mtn. Ridge Center in Franklin on Nov. 16, 2018. She was born in Bar Harbor, ME on Sept. 3, 1949 the daughter of Ralph and Betty (White) Hodgdon. She was previously employed at Seth Thomas, Rivco, Polyclad, and Freudenberg NOK prior to retiring. She is survived by 3 children, Robert Auprey of Sanbornton, Jason Auprey of Franklin, and Vanessa Reynolds of Plymouth, MA, grandchildren a great grandchild, a sister, Carolyn Hodgdon of Seal Cove, ME, and nieces and nephews. She was predeceased by her parents and two brothers: Ralph Hodgdon and James Hodgdon. Donations in her memory may be made to The American Cancer Society, 2 Commerce Dr., Bedford, NH 03110.